Your hunt starts in the early hours of the day when you are picked up by your guide from the ranch house. Pasture size varies, but is typically over 1,000 acres with varied terrain. A guide will assist in spotting and stalking the 2000 lb. mature bulls which can be easy or fairly challenging. We work to accommodate the needs of each individual hunter. As the hunter, you will position your shot and be prepared for up to 200 yards away. Once the shot is taken and it is deemed that the bull is safely down, we take the opportunity for pictures, honoring both the animal and the hunter. After, the animal is field dressed and loaded into the vehicle and taken to the ranch shop. Here, we skin and cut the carcass into halves. We have the capability to hang the carcass for cooling for a limited period of time. If you are using a local processor (which we can provide information for), the animal can be transferred for processing. If you choose to haul the carcass yourself, our team will assist you in this process and help quarter the carcass for easier handling. Many of these Durham Ranch bulls qualify for the prestigious Safari Club International’s Gold Category with several having scored in the top 25 for SCI. The 2019/2020 season is fully booked. We are now booking the 2020/2021 season. Durham Ranch Trophy Bison Hunts include lodging on the ranch at the Rock House. Also included is all the meat, the head and hide and the above-mentioned services. There is no license required for these bison hunts. Call or email for current pricing. 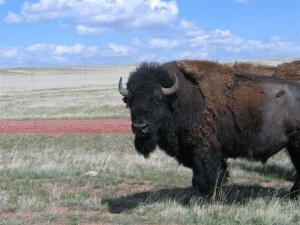 Book your Buffalo Hunt at Durham Ranch today. Spots are filling fast for next season. The trophy bull hunts are the only bison we hunt at this time. Known as the fastest North American land animal, Durham Ranch boasts some of the best pronghorn hunting in the U.S. You and your self-guided group hunt at your pace, over chosen parts of the 55,000 acres. 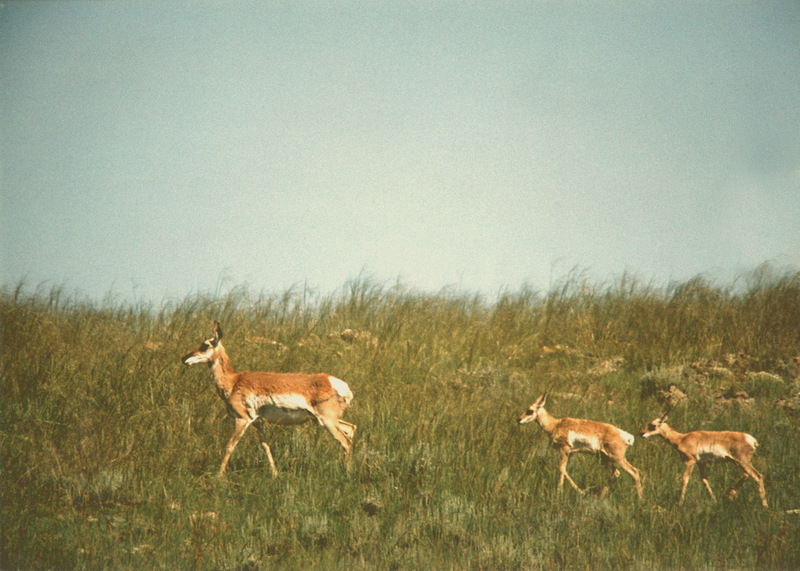 Here the opportunity exists to hunt some of the 1000+ pronghorn that roam over this ranch. Many bucks in the 14”-15” range and the occasional 16” buck are harvested here at the ranch. SCI scores of over 70 are very common with a few occasions with bucks over 80. The trespass fee per buck hunter is $550. The Durham Ranch includes Antelope Hunt Areas 23 & 24. Archery season runs the 2nd half of August and, the month of September. Gun season runs the month of October. Licenses are required through the Wyoming Game and Fish Department. We are currently booked out for the 2019 antelope hunting season and are not taking any further bookings.